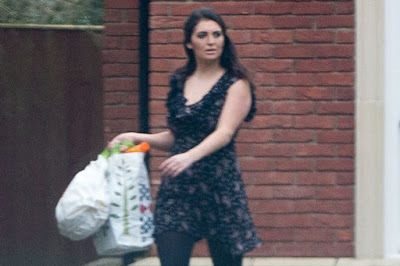 24-year-old lapdancer and mother of a 3 year old, Rachel Calvert’s dumped her devastated Husband, 26 year old Tony on Valentine’s Day – in a car park at Asda and moved in with football star, Jermain Defoe. And just to rub it in, Tony is a Newcastle United fan – while his substitute Defoe, 33, plays for Premier League arch rivals Sunderland. Rachel Calvert, 24 who has a 3 year old daughter with Tony- a dockworker- walked out on her husband of two years to move in with the striker two weeks ago. “They had broken up in the middle of January and Tony moved back to his mum’s while she stayed in their house. “He was keen to patch things up so they arranged to meet up on neutral territory in the Asda car park on Valentine’s Day to talk things through. He even bought her a rose. “When they were in the car together she told him she was seeing someone. At first she didn’t seem to want to tell him who it was. “She was talking about wanting a divorce and Tony just insisted she told him who it was. “Then she told him it was Jermain Defoe, who plays for Sunderland, and Tony just blurted out, ‘Are you taking the piss’. “He was absolutely gutted. Apparently she said she didn’t want to hurt him any more. But he’s a Newcastle fan so that made things even worse. 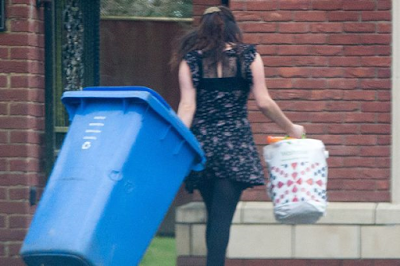 This week Rachel was spotted in her slippers with the wheeliebin at Defoe’s £2million mansion in upmarket Ponteland, Northumberland. 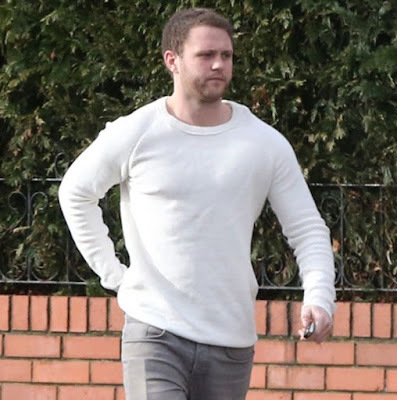 Her white BMW convertible has been parked on the drive outside the property while the £70,000-a-week forward has been away with his teammates at a warm weather training camp in Dubai. Notorious ladies’ man Defoe has been linked to a string of women over the years, including models Imogen Thomas and Chantelle Houghton as well as former Miss Great Britain Danielle Lloyd. His relationship with X-Factor winner Alexandra Burke ended in May 2012 after he was caught cheating with yet another model, Laura Brown.